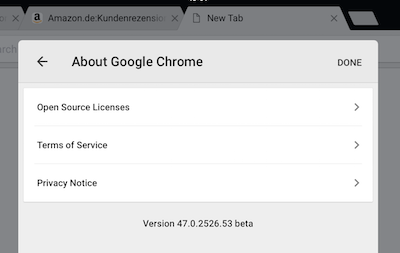 In addition to the stable channel, there are 3 other Chrome channels you can use to check the latest features before they’re released for everyone: beta, dev and canary. 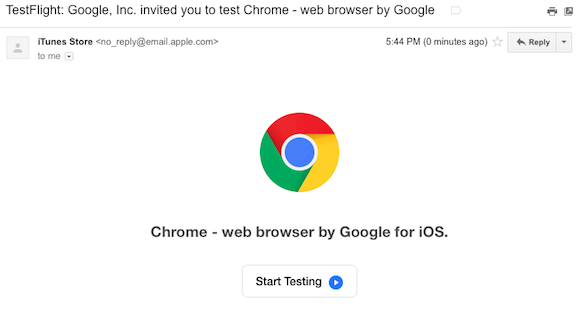 Canary builds are only for Windows and Mac, the dev channel is available for Windows, Mac, Linux, Chrome OS and Android, while the beta channel is available for Windows, Mac, Linux, Chrome OS, Android and now iOS. 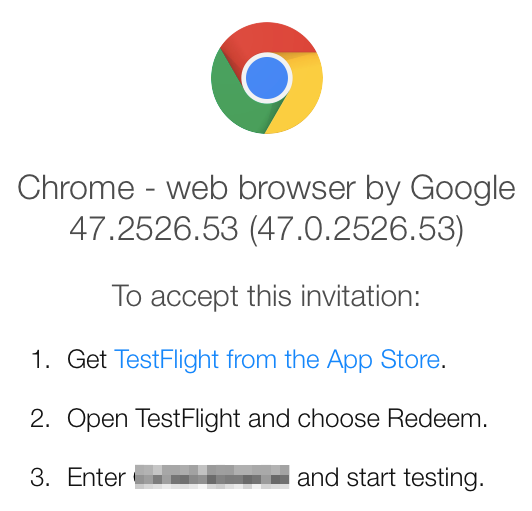 Install the TestFlight app on your iOS device, tap “redeem” and enter the code from the invitation. 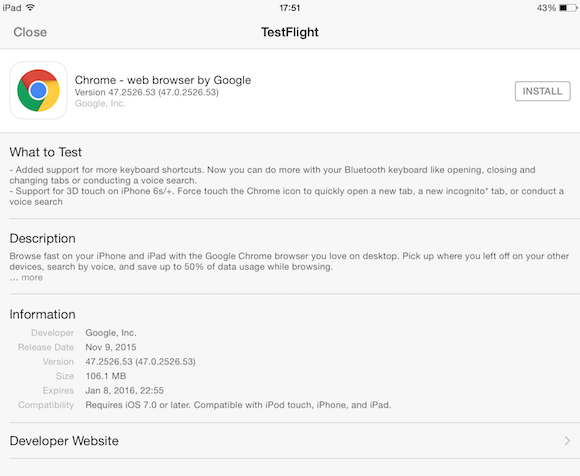 If you’ve already installed Chrome on your phone or tablet, TestFlight will ask you if “you want to replace the current app version with the test version”. 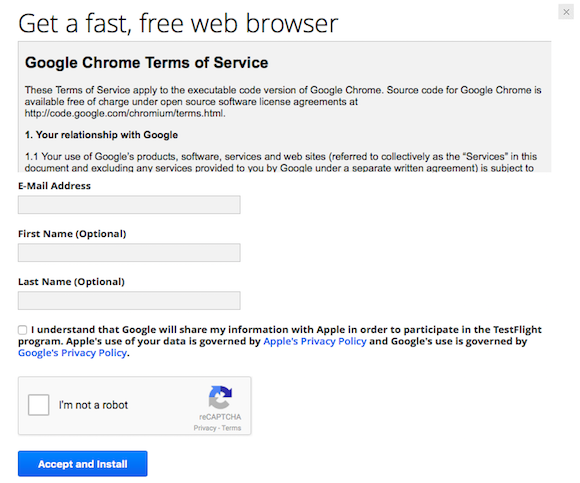 Right now, you can upgrade from Chrome 46.0.2490.73 to Chrome 47.0.2526.53. The new version adds support for more Bluetooth keyboard shortcuts (open/close/change tabs and voice search) and adds 3D touch support on iPhone 6s and iPhone 6s Plus (force touch the Chrome icon to open a new tab, a new incognito tab or start a voice search).